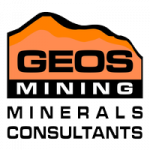 Geos Mining wanted an easier way to manage their remote resources. Both staff and equipment. By improving resource management, they looked to improve staff productivity and equipment utilisation. Manual processes and poor communication to remote resources meant that it was hard to them to track their staff and equipment and ultimately provide a better customer experience. Through close collaboration, M3 Solutions and Geos Mining developed a custom scheduling system to enable tracking and management of its resources. This not only improved the productivity of the head office staff but by providing access to the remote staff, improved their productivity also. Through an iterative build, M3 Solutions was later able to add remote staff KPI management. The result being closer alignment of objectives between head office and remote staff. Contact us to see how M3 Solutions can help you manage your resources and deliver a better customer experience.